No press releases are currently available for this episode. 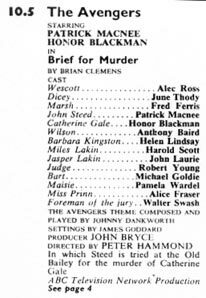 Manchester Evening News, 29 September, page 5, Max North's Telereview, ?, England. 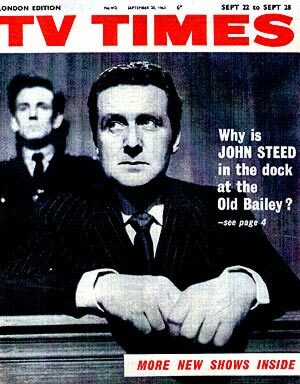 This week-end sees the start of several new series, back comes "That Was The Week That Was" on BBC to-night and ITV's "The Avengers" opens literally with a splash - Cathy Gale (again played by Honor Blackman) falling into the Thames after being fired at from the bank.